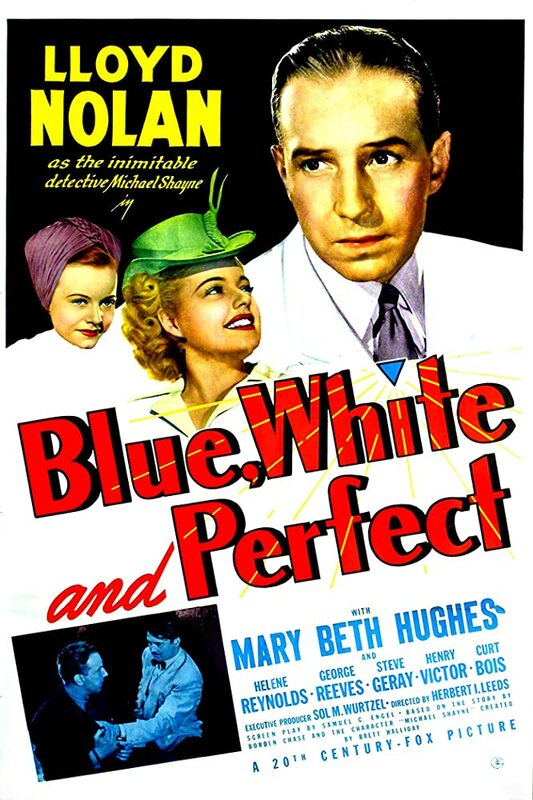 The Year opened with Lloyd Nolan continuing his run as detective Michael Shane in Blue, White, and Perfect. A Gentleman at Heart found Caesar Romero as a bookie who obtained ownership of an art gallery. Right to the Heart was a romance set in the world of boxing. Tyrone Power and Gene Tierney were back in the Polynesian adventure Son of Fury, along with Roddy McDowell, George Sanders, and Frances Farmer. Young america was the next to last of the Fox Jane Withers films. 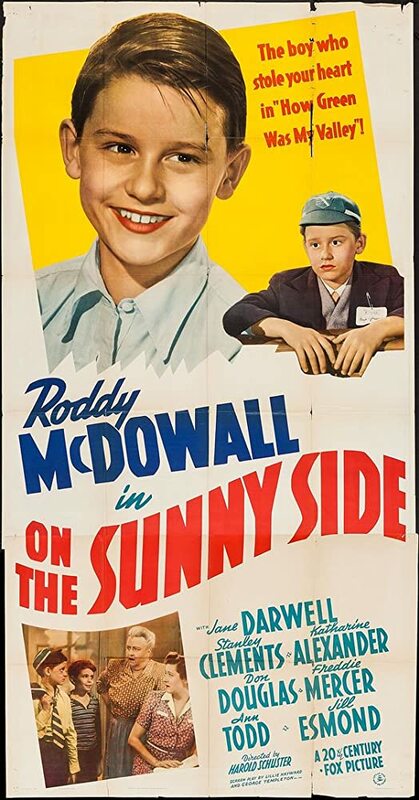 On the Sunny Side found Roddy McDowell relocated to Ohio because of the Blitz. 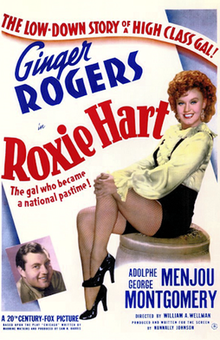 Roxie Hart was a fun, hard boiled comedy based on the material that would later inspire the musical Chicago. Ginger Rogers excelled in the leading role. Castle in the Desert was the final Fox Charlie Chan film. The series rebooted at Monogram a few years later. The night Before the Divorce was a comedy. I think that's a big hint on its plot resolution. Lynn Bari starred. Lone Star Ranger was another big dose of Zane Gray. Henry Fonda fell for a woman who was out to fleece him in a romantic comedy. No, its not The Lady Eve, but rather Rings on Her Fingers with Gene Tierney playing the object of his affection and costarring Laird Cregar. To the Shores of Tripoli was a morale booster for the Marines and starred John Payne,Maureen O'Hara, and Randolph Scott. Forgot to note on 1941 that Maureen O'Hara made her first Fox bow in that year in How green was My Valley. She would be a major star for them throughout the 1940s, and indeed her final film, Only the Lonely, released in 1991 ( in which she is absolutely ideal) was a Fox release. John Kimbrough was Sundown Jim in another western. Who is Hope Schuyler was a B mystery. Ricardo Cortez had a supporting role. This might be one of the few films with a hidden face on the poster. My Gal Sal was a musical biopic about Paul Dressler, played here by Victor Mature, and his infatuation with showgirl Sal, played be Rita Hayworth. 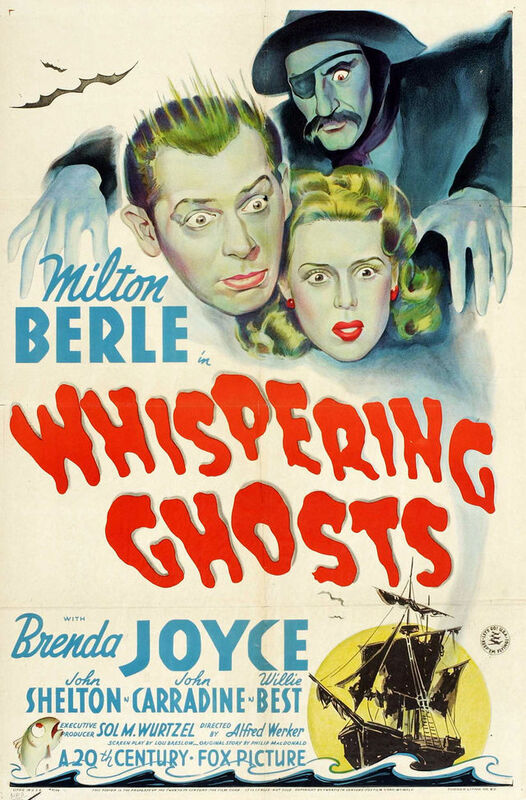 Whispering Ghosts was a mystery comedy with Milton Berle. Kipps was an HG Welles story, but it was not Sci-Fi. Instead it was drama, starring Michael Redgrave and Diana Wynward. 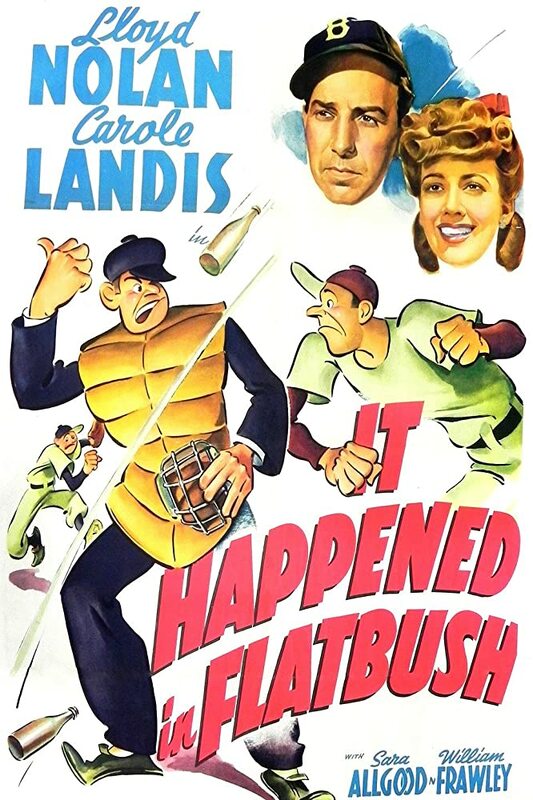 Comic baseball came to the plate in It Happened in Flatbush with Lloyd Nolan and Carole Landis. Jean Gabin made a rare US appearance in Moontide, opposite Ida Lupino. The Magnificent Dope was a love triangle comedy with both Henry Fonda and Don Ameche vying for Lynn Bari's hand. Thru Different Eyes was another B mystery, albeit not one of a series. 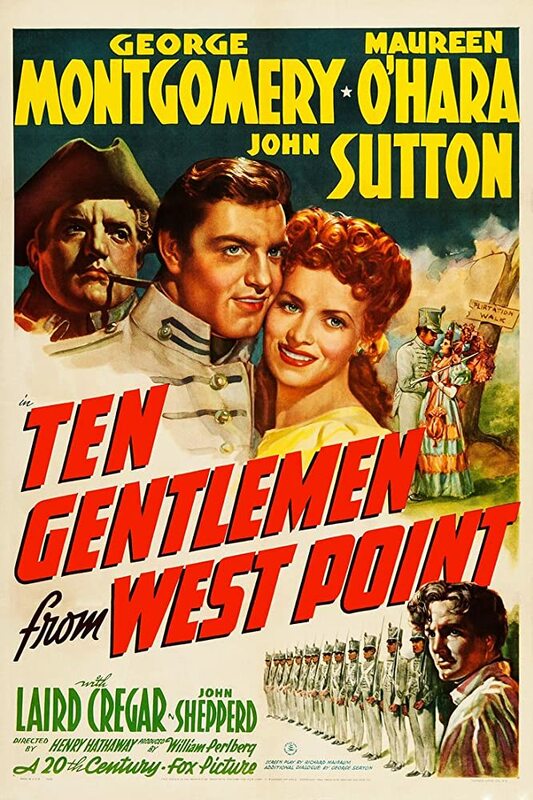 Ten Gentlemen from West Point was another wartime morale booster, and again Maureen O'Hara was the female lead. The Postman Didn't Ring was a nostalgic comedy with a postman trying to deliver mail that never made it to its rightful owners. 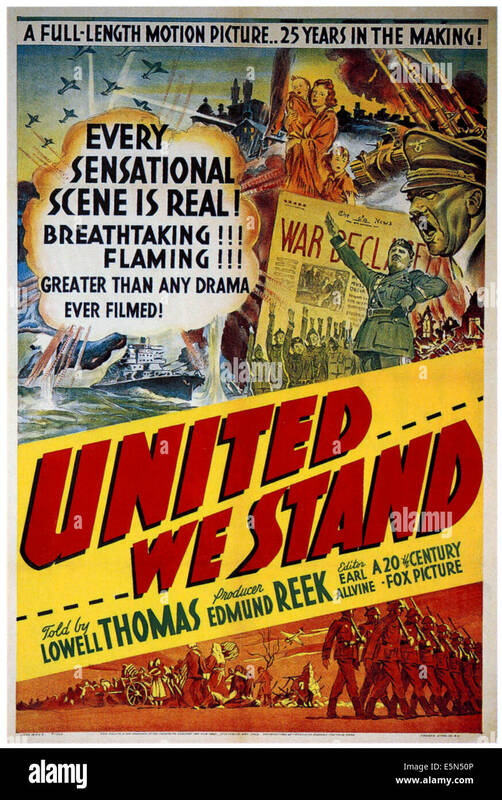 United We Stand was a wartime documentary. This Above All was the latest with Tyrone Power, this time with Joan Fontaine. it was a much admired film. Footlight Serenade saw Betty Grable hoofing it again with John Payne and Victor Mature by her side. Phil Silvers had a smaller role. A Haunting We Will Go found Laurel and Hardy spoofing horror films. 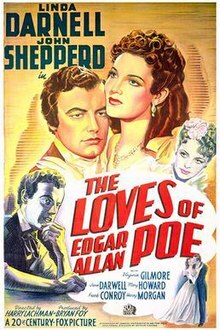 Sheppard Strudwick (billed here as John Sheppard) played the title role in The Loves of Edgar Allan Poe, but Linda Darnell had top billing. The presence of the Glenn Miller band helped Orchestra Wives to become more famous then your average small-scale musical. 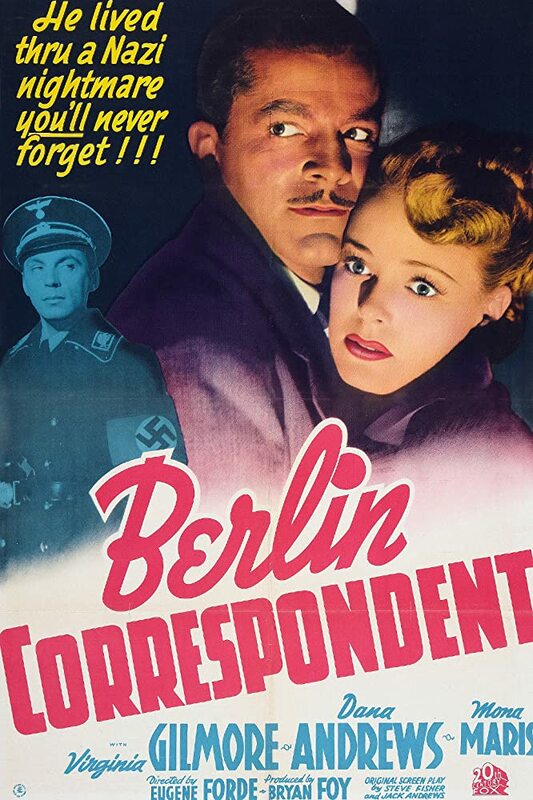 Next on the War front: Dana Andrews was the Berlin Correspondent. 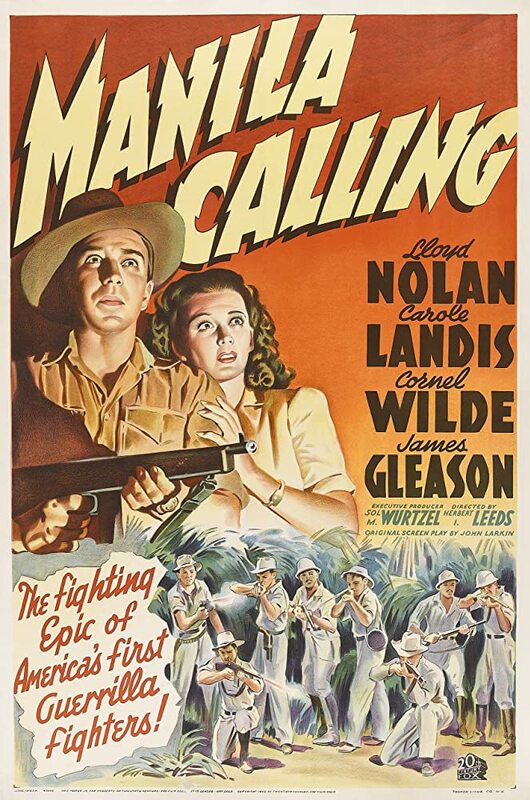 The war theme also pervaded Careful, Soft Shoulders, even though this film was a comedy. 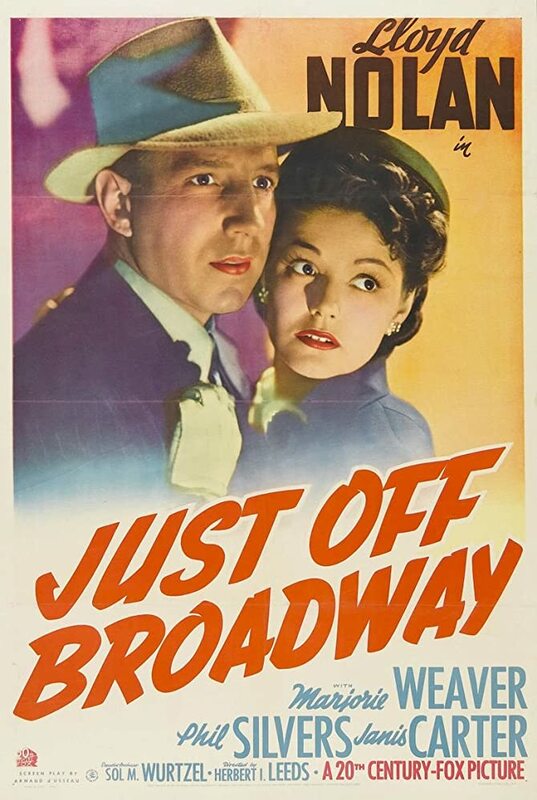 Just Off Broadway was the next to last of the Michael Shane films, and if not completely a successful film, it still had its entertaining moments. 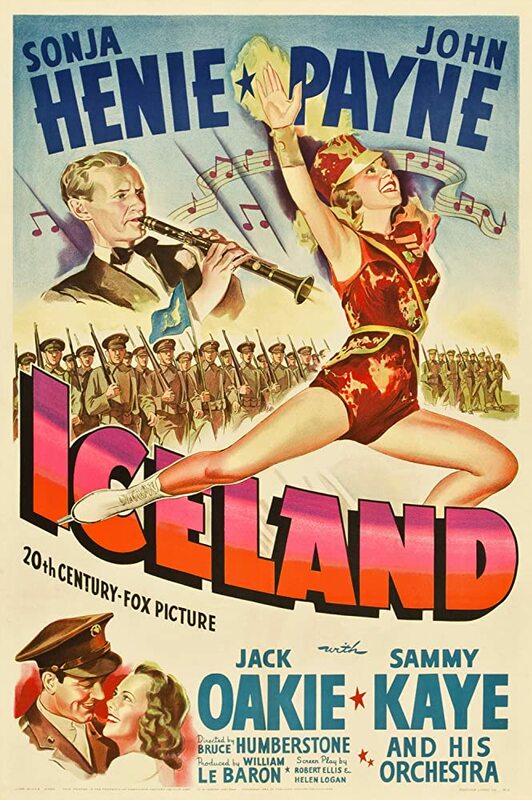 Iceland was the latest Sonia Henie film, and it was a lovely charmer and a most enjoyable time. 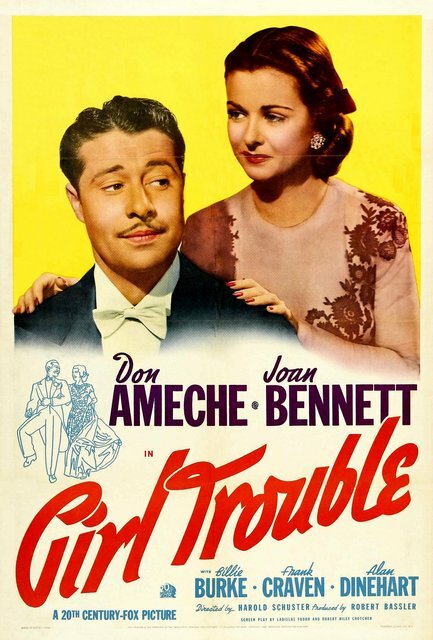 Don Ameche and Joan Bennett found themselves in a rom-com Girl Trouble costarring Billie Burke. the war made a return in Manilla Calling. 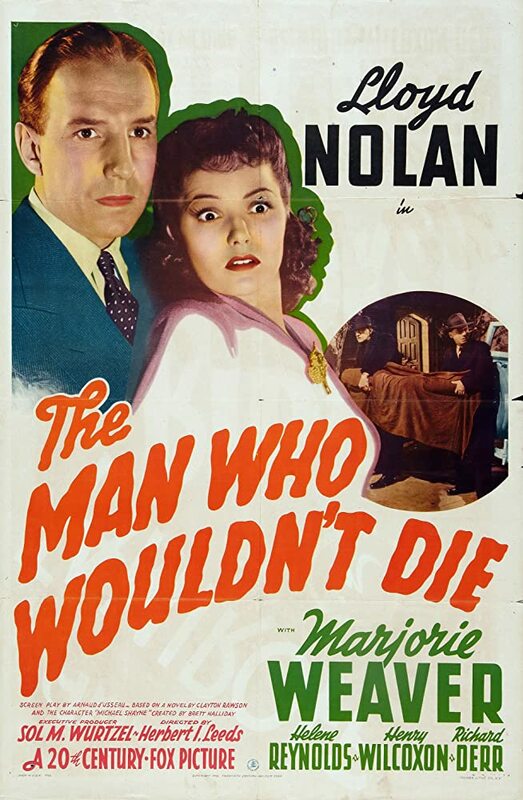 A ghost came back to solve his own murder in The Man in the Trunk. Fox would use this general plotline again in a very bizarre way one time with the twist of having Chevy Chase come back to life as the canine Benji in 1980's Oh Heavenly Dog. 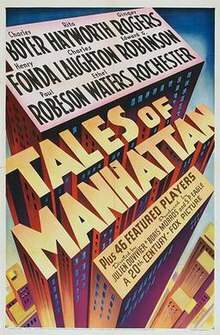 Tales of Manhattan was another of the multistar portmanteau films popular in the 40s and 50s. 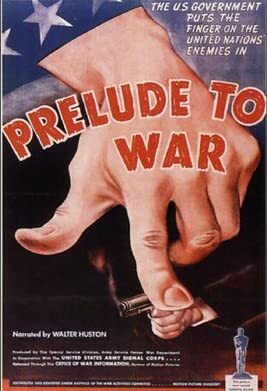 Prelude to War was a war documentary directed in part by Frank Capra. 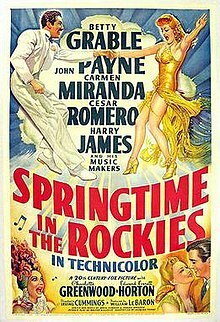 Springtime in the Rockies was another adorable musical with Betty Grabe and a very entertaining Carmen Miranda. That Other Woman was another romantic comedy for the B market. 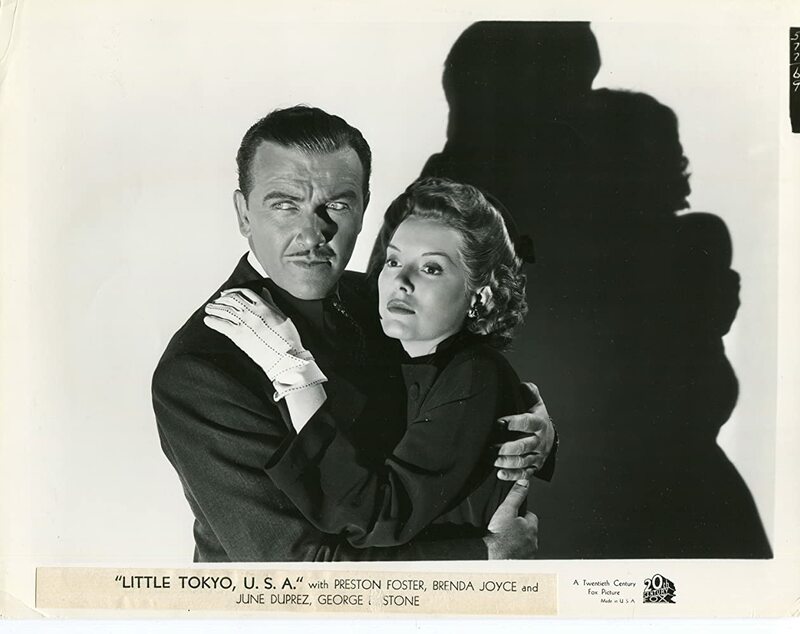 Preston Foster had the largest part in the war film Thunderbirds, but Gene Tierney received top billing. The Undying Monster dropped Fox into a stab at the horror genre. Dr Renault's Secret was another take on horror. Unfortunately, this image is not the original poster, but rather the DVD cover. Monty Wooley played Ida Lupino's father in the relationship drama Life Begins at Eight-Thirty. George Montgomery and Gene Tierney took to wartorn Asia in China Doll. 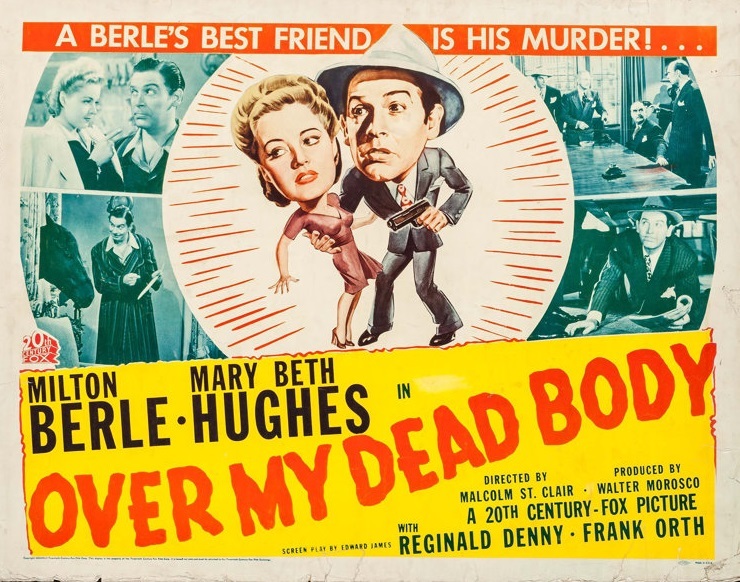 And milton Berle closed the year in the comedy Over My Dead Body. 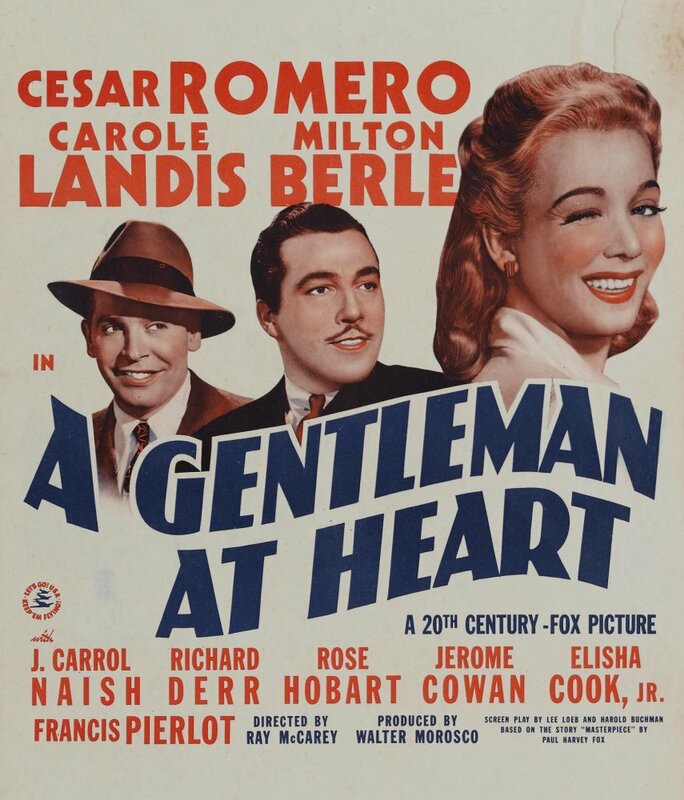 When I first decided to try and see all the major Oscar nominees, this was one of the first movies that I saw, as it was shown on AMC many times back then. I didn't expect it would later become a rarity. Those are the two that I haven't seen, other than those thought lost (The Way of All Flesh, The Patriot). Two Betty Grable musicals are coming out in June with a 2k restoration to Blu-ray from Twilight Time. 1944's Pin Up Girl and 1947's Mother Wore Tights. Also the Alice Faye musical 1943's Hello Frisco, Hello.